St Nicholas Church stands on the western side of Bartholomew Street (formerly West Street), bordered on the northern side by the Kennet & Avon Canal and West Mills in Newbury. 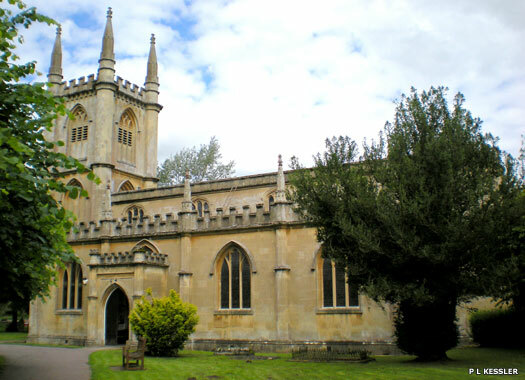 The church was built at the start of the 1500s, some of which, at the tower end, was handled by John Smallwood alias Winchcombe ('Jack of Newbury'), the clothier. 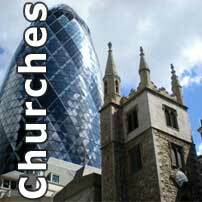 It consists of chancel, north and south chapels, nave, north and south aisles, north and south porches, and half-enclosed tower. The tower bears the date 1532 on a corbel. The north vestry is a modern addition. 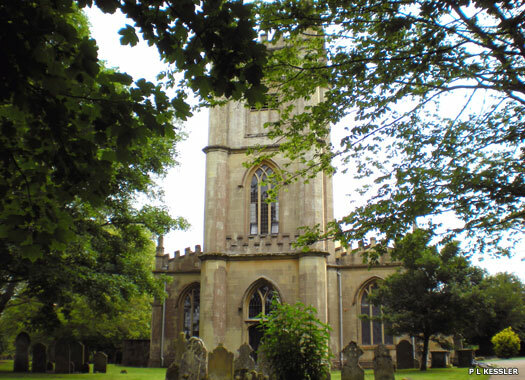 The tower contains eight bells, all by James Wells in 1803. The tenor (which was recast with the rest) was donated in 1729. This church entirely replaced an older building of which nothing remains. 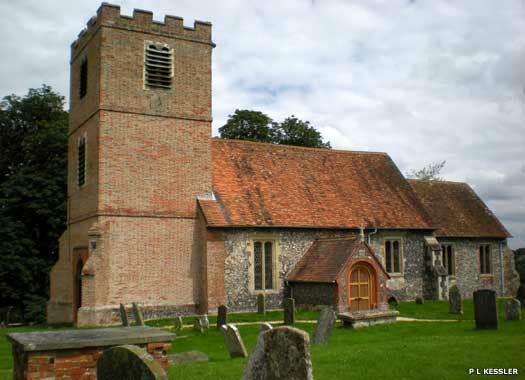 It may have begun as a chapel for the nearby Thatcham parish church and was granted by Ernulf de Hesding to the abbey of St Pierre de Préaux, probably about 1080. 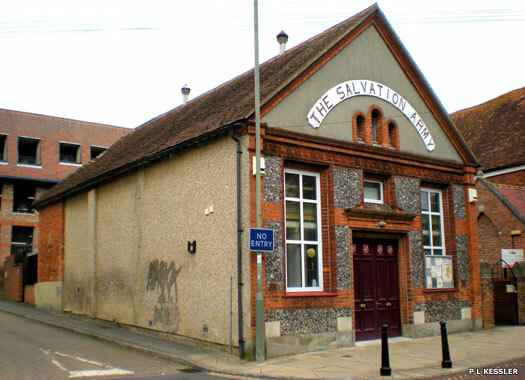 The Salvation Army occupy a neat, flint-fronted hall on the north-eastern corner of Northcroft Lane and a short, unnamed lane which lies immediately east of Pembroke Road in Newbury. Nineteenth century Newbury was strong in industries, including ironworking, brick-making, silk manufacture, papermaking, and brewing. The Salvation Army was very unpopular when they first came to the town in the 1880s due to their being teetotallers. A temperance hall is next door. St Mary's Church Hamstead Marshall sits atop a steep crest on the southern side of Park Lane, approximately 3.3 kilometres east of Kintbury in Berkshire. Known until recently as Hampstead Marshall, the 'p' has been dropped to avoid confusion with other, similarly named places. The earliest part of the church is the twelfth century south doorway, while the fifteenth century north aisle was only partially modernised by the Victorians. 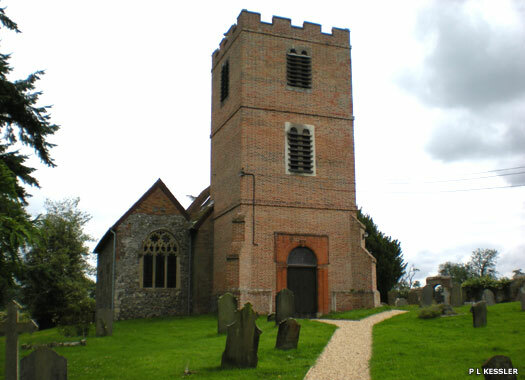 Around 1622, the church was largely altered, gaining its tower at the same time. It is not clear whether this replaced an older version. Much of the walls are of flint and stone rubble with an intermingling of brick and tile, while the roofs are of modern red tiles. The three-stage tower is entirely brick, and the doorway has been rebuilt. 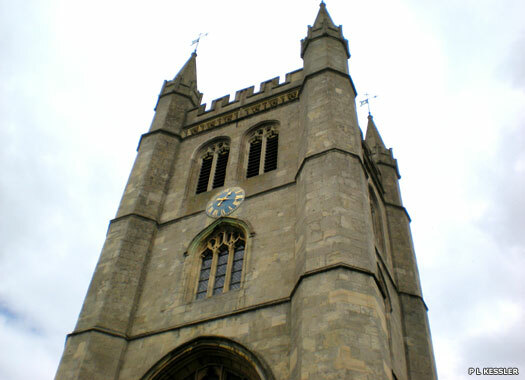 The tower contains two bells, the second cast by Henry Knight of Reading in 1592 and the first by Lester & Pack in 1756. The Church of St Mary the Virgin Kintbury lies at the northern end of Church Street, where it connects with The Croft, to the north of the High Street in Kintbury. The village is a large one which lies immediately south of the former Great Western Railway line and the Kennet & Avon Canal. 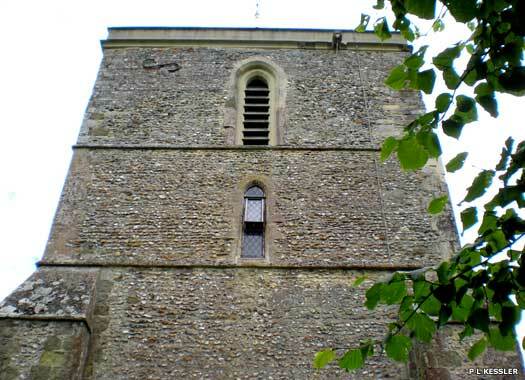 The church appears to have been erected in the twelfth century, complete with tower. Of this, perhaps only the south doorway, chancel arch, and west doorway are original survivors. There is reference to the 'servants of God' and 'the holy place' in AD 931, making it likely that there was a minster or oratory here. The advowson seems to have been in the hands of Amesbury's nuns. Victorian rebuilding on the later church in 1859 stripped out almost all of the original features, following on from rebuilding in the previous century. The church also pays host to Kintbury Methodist Church, the modern survivor of Wesleyan and Primitive Methodist chapels. 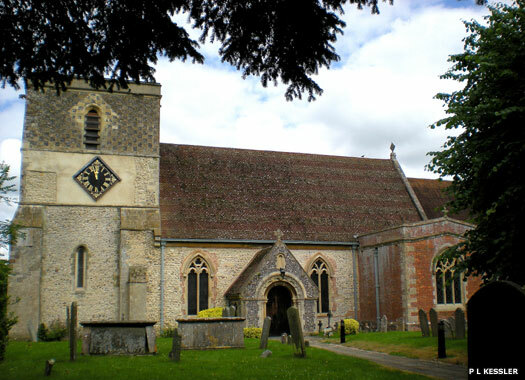 The Parish Church of St Lawrence Hungerford sits in a large churchyard at the north-western corner of Parsonage Lane, north of both the mainline railway and the town itself, with the Kennet & Avon Canal on its northern flank. 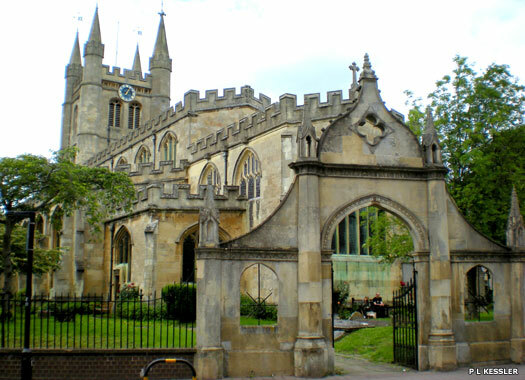 Classed as 'an uninteresting building', the present Gothic church was erected soon after 1811. It replaced a building that dated probably from the thirteenth century, but no exact record of it has survived, only a fragment of stonework. In 1811 an Act of Parliament was granted to repair the old building. The tower was in a bad way, and was rebuilt first. But in February 1814 'most of the ancient part of the roof and body of the church fell down.' 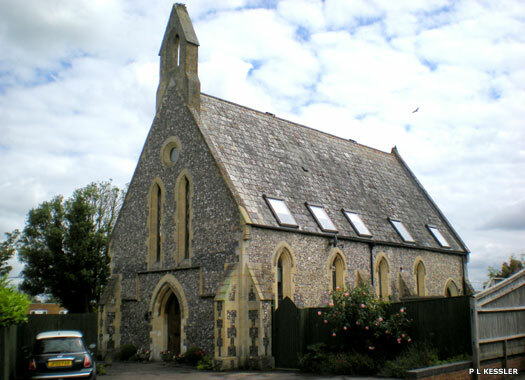 Hungerford Primitive Methodist Chapel was founded in 1830, while the present chapel was built in 1864. The remains of nearby North Standen Chapel are of the thirteenth century, but are now part of a barn standing to the north-east of a farmhouse. Hungerford & Ramsbury Union Workhouse Chapel, is on the south-east corner of Park Street and Ramsbury Terrace on the eastern side of Hungerford. The town had a workhouse in operation from about 1729. With its operation overseen by an elected 'Board of Guardians', in 1847 new buildings were erected on this site. The workhouse later became Hungerford Hospital, but in the late 1990s the site was completely cleared for housing. Only the former chapel survived.